The three basic factors in daily existence are utterly incomprehensible to us: time, because it is eternal; space, because it is infinite; and our consciousness, because it defies all explanation. Who are the great men and women in psychotherapy? In my mind, they are the many psychotherapists who have both the sensitivity and the desire truly to understand their patients on an individual and personal basis and who try to increase their knowledge and skills to render better and more complete service. They are the men and women who refuse to use the damaging shortcuts of generalizing dogmatic approaches and the time and labor-saving gimmicks advocated by many of the authors mentioned in our companion volume Crucial Choices—Crucial Changes: The Resurrection of Psychotherapy. made in this chapter. All I can do is offer, succinctly, a few of the findings and conclusions described therein. For many years we have stated again and again that psychoanalysis and psychodynamic psychotherapy have never even come close to their potential. In our companion volume we give considerable attention to psychodynamic psychotherapy; we examine at great length and in depth the formidable obstacles that can and must be surmounted and the improvements and solutions necessary if we are to reach the desired goal. Decades of exploration have convinced us that the knowledge and the skills of psychodynamic psychotherapy are indispensable for any psychotherapist, no matter what speciality he eventually wants to engage in. 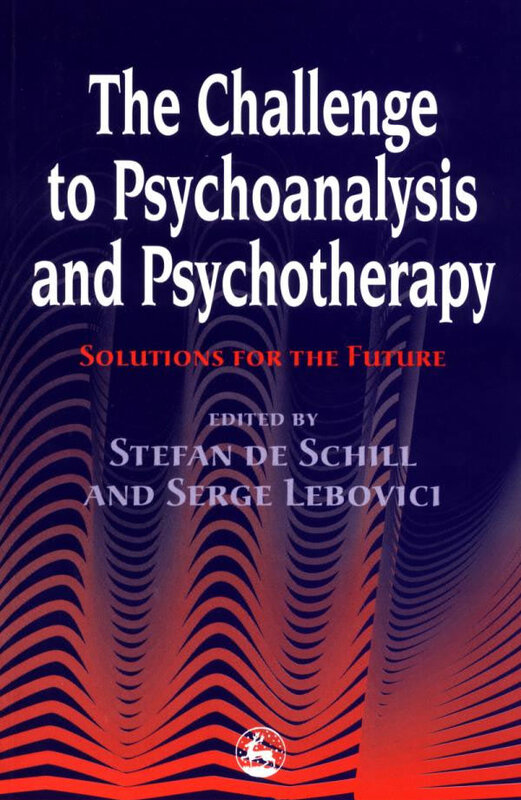 In the present chapter I touch briefly on but a few important issues bearing on the problems of achieving quality in psychotherapy, including some of the related questions Wallerstein and Sampson raised in the preceding chapter. No other field in public health is in as much need of separating the wheat from the chaff. In psychotherapy, even more than in politics, a brazen pretense of competency brings far greater success than does possession of actual knowledge. People are far more capable of evaluating the performance of politicians than that of therapists. Even among those who are aware of that calamity, hardly anyone has the stamina and the spirit of sacrifice to speak up. Of the few who do, several are noted in our companion volume. Our companion volume is concerned with psychotherapy, primarily the problems of the non-psychotic emotionally ill. Certainly all people so afflicted suffer. Many, however, such as the depressed and anxious, are subject to some of the worst torment human beings can experience. Exiles from all happiness, they partake of life’s sorrows and miseries, seldom of its joys. Restless and haunted, many cannot even find solace in literature and music. Even the presence of talent, intelligence and humane qualities cannot mitigate their ever-present pain. In his first session one of my patients described the agony of his chronic anxiety and depression: ‘The Chinese had a torture in which they cut open a man’s belly, placed a large rat inside, and sewed him together again’. And I cannot forget a statement by another patient: ‘The anguish and torment that other people suffer when experiencing personal tragedy I feel night and day’. Another patient, a talented and sensitive writer, showed me the manuscript of his autobiography, entitled Pretending to be a Person (like all his other writings, it was never published). While the pain of some can be alleviated by medication, there are many who can obtain help only through intensive psychotherapy. A fundamental and tragic problem still with us is the undeniable difficulty of treating the severely anxious and depressed with lasting success. Thus we are presented with an intolerable situation—our failure to alleviate the ordeal of so many human beings destroyed by forces from within. But redress is possible and it need not depend on the discovery of new remedies; rather it depends on the necessary knowledge that is already available. Unfortunately, most of that knowledge is not found in the various modalities of training. To acquire it the student has to set out on a protracted, frustrating search and engage in an unending struggle to separate the valid from the useless. Our profession is imbued with rationalizations that frequently take the form of convenient assumptions and, seldom questioned, become part of our professional culture, forming a vast and complex system of systems. Let us glance at a few of the more commonly held assumptions. We need not discuss at length the various meanings of neutrality in the psychotherapeutic context. The ‘distant’ emotional attitude of the analyst toward the analysand was held, for a long time, as a sine qua non of the therapeutic process. That position, even though lately abandoned by many, is still defended by some. The assumption of neutrality is of utmost importance to those who maintained that psychoanalysis is a science and uses scientific methodology. Of course, there have always been psychotherapists who considered that proposition spurious and without merit. The arguments that brought that long-lasting belief to an end always existed. No new proofs and no new ideas have been added. Some 40 years ago I demonstrated in a lecture how three well-known analysts addressing a simple situation occurring in a therapy session could not possibly respond in an identical manner, as an instrument would do. I based my assertions on the positions they took in their writings, which were at variance with each other, and on their divergent personalities. The response of many in the audience was derision of my views and outright hostility. To bolster their claim that psychoanalysis is a science and outcome research is possible, Wallerstein and Sampson cite a host of authors. They mention Kubie as speaking of ‘the formal constancy of the observational situation’, which is powerfully established by the ‘analytic incognito’ and helps ensure ‘that the variables brought into each session are brought in predominantly by the analysand’. Unfortunately, that edifice collapses, owing to the word ‘predominantly’. If, for the purposes of process research and outcome research, we want to establish valid findings for a specific category of therapy, the therapeutic procedures and interventions such as interpretations must be identical because they are the elements that really matter. Any variation in those crucial factors can bring about completely different results. The differences are far weightier than the broadly defined common denominator. And the most influential elements are the competency and the personal approach of the therapist in question. The impossibility of achieving such similarity is not perceived by Wallerstein and Sampson, even though they furnish us perfect proof of it. They report that Seitz considered the consensus problem in psychoanalytic research the most difficult to contend with, both conceptually and technically. Much credit should be given to Seitz for being one of the few honest and clear-minded researchers in this matter. He has the courage to complain that the problem of consensus has been ‘studiedly underemphasized’ in the empirical and theoretical clinical research literature. It is not surprising to learn that the Consensus Research Project was disbanded after three years of work by Seitz and his seven senior analytic colleagues from the Chicago Institute for Psychoanalysis. They reported that the project had failed because of the ‘inability in developing consensus among a group of analysts in making independent formulations of the same case materials’. How, then, for the purposes of outcome research, can we expect a reasonably uniform approach in patient treatment from analysts who, having undergone years of dogmatic training at the same institute, cannot even achieve consensus on the relatively simple conceptual matters? Compared with those matters, the question of how to respond to each patient’s innumerable psychological situations and manifestations is infinitely complex. Now, of course, as evidenced by the extensive literature on the matter, the relationship between analyst and patient is viewed from a number of perspectives that are quite different from the former traditional stance. As can be seen in the preceding chapter by Wallerstein and Sampson, the abandonment of the ‘neutral’ stance has not markedly discouraged therapists who continue to view psychoanalysis as a science and the analyst as a scientist observer. In our companion volume I present in great detail Stoller’s incisive arguments that psychoanalysis can never meet the criteria of a science. Stoller has also commented that Wallerstein never doubted that psychoanalysis is a science. It is interesting to note what Wallerstein and Sampson have to say in their chapter. ‘The [psychoanalyst’s] notes provide a permanent and ‘public’ record of a systematic series of observations by a highly trained participant observer. They constitute a record that therefore does allow for independent and concurrent observation.’ Elsewhere, however, in the same chapter they state: ‘Psychoanalysis has indeed profited enormously from the natural (and the fortuitous) observations of gifted individual observers’ (italics added). And here we have a most important point: a gifted analyst will come up with observations and interpretations completely different from those of a less talented one—and each analyst, gifted or not, being an individual with his own history, cannot help but have distinctive impressions, associations and reactions. A widely known textbook, Lehrbuch der Psychoanalytischen Therapie (Thomä and Kächele 1989), lists, in the index of the first volume alone, well over 500 authors. A ‘neutral scientific instrument’, however, looking at the same object, namely the human psyche, could not possibly present us with the vastly different results that these ‘neutral scientific observers’ do. We are dealing with individual observations, judgments and misjudgments, far from the assessments of an objective instrument. The ‘highly trained observer’ aspect, which is the basis for the ‘science’ claim, focuses, in practice, all too frequently on demanding that the therapist be able to ‘detect’ in the patient what dogma dictates he looks for. One of the most visible consequences is the cliché interpretations of dreams and dream symbols that we criticized in our companion volume. Various new definitions of science have been manufactured in an attempt to create loopholes through which psychoanalysis can be squeezed into the coveted category of ‘science’. While those intellectual acrobatics show more sophistry than sophistication, their line of reasoning may allow the next shoe repairman, far more than any analyst, to designate himself as a ‘scientist’ . Considering the calamitous condition psychotherapy and mental health find themselves in, it is unconscionable to give priority to pretentious trivia and sterile speculation. For psychoanalysis and psychodynamic therapy to move closer to their potential, and thus closer to effective help for those who are suffering, major changes must be made. We must discard many of the current ineffective policies and approaches that avoid the necessary but laborious tasks. The preceding chapter by Wallerstein and Sampson is an attempt to examine the psychoanalytic process. It was written in the hope of achieving improved precision and quality of treatment and of facilitating outcome research that would prove the efficacy of the analytic procedure. It is not the fault of the authors if such a hope cannot be realized. The history of outcome research can be divided into two major periods: B.I. and A.I.—that is, ‘before insurance’ and ‘after insurance’. Before insurance payments were ever thought of, most analysts proclaimed, at great length, that outcome research was an impossibility and a harmful intrusion. Many analysts insisted that to be motivated, patients should pay the fees from their own pockets. But when insurance became more available, analysts were quite willing to accept the money. Next, however, because of the ever-increasing costs, the insurance carriers started to demand proof of results. The very same therapists who had previously denounced any attempt at outcome research scrambled to reassure the insurance companies that such proof could be obtained and, moreover, that it would irrefutably demonstrate the value of their work. Joking aside, the various research endeavors claiming that their methodology is capable of tackling the immensely complex task of outcome research have so far been a labyrinth of mental acrobatics couched in esoteric terms. The enormity of the task is evident in Wallerstein and Sampson’s chapter. As previously stated, research such as theirs is inextricably linked to outcome research. I have yet to find an outcome research study whose premises could withstand the criticism of an expert clinician. NaIve assumptions and convenient simplifications abound, resulting in scholarly treatises blissfully bypassing clinical reality and experience. I was pleased to notice that Morris B. Parloff, a man knowledgeable in such matters, raises similar objections in his writings. As a typical example of the blatant shortcomings of outcome studies, we will, later in this chapter, look at a German project that has been widely acclaimed by professionals. Even if the final answer is that the problem of process research and outcome research is unsolvable, the examination of process transcends the limits of this circumscribed topic. The reason is that such examination forces us to seek a much clearer understanding of what is actually being done in psychoanalysis and psychotherapy. To clarify what it is that outcome research is supposed to do, let us turn to a completely different area. A man intends to purchase a certain automobile and wants to make sure that he will get what he needs and wants. He studies the manual describing the structure of the car and all its operations. Since cars are tested by independent entities, he can verify its performance. That is precisely what we want to gain from outcome research: an accurate description of the product, how it operates and what it will accomplish. We want clear and honest answers, not sophistry, no matter how erudite and ‘scientific’. If, however, such answers are impossible to arrive at, we should be told so in clear and honest language! We included in this volume the preceding chapter by Wallerstein and Sampson because its goal is to describe both the product to be examined and its functioning. The paper has become a classic due to its careful, though incomplete, list of the obstacles to such an enterprise and must be taken into consideration by those who attempt to arrive at some conclusion regarding the value of outcome research. The paper was written in 1968. In 1993 I asked Wallerstein if he wanted to add something to it. He answered that he felt that the paper could stand as it was and that nothing needed to be added. Considering the context of the paper and the perspective of the authors, one must agree with his statement. Here I will play devil’s advocate and raise a few fundamental questions regarding psychoanalysis and psychotherapy. The questions are linked to the preceding chapter. We have attempted to confront side-by-side, with reference to both theory and practice, two questions relevant to our central thesis: Is it necessary to conduct more formalized and systematized studies of the therapeutic process in psychoanalysis? and Is such an endeavor possible? We maintain, on grounds that we hope are cogent and persuasive, that the answer to both questions today is an emphatic yes! I will address myself solely to the second point. In 1971, when the piece first came to my attention, there did not seem to be anything in it, or elsewhere, that allowed for such a positive expectation. Although the paper clearly describes the obstacles in all their magnitude, it becomes conspicuously brief when discussing avenues toward positive solutions—for example, the psychotherapy research project of the Menninger Foundation and the process study of the San Francisco Psychoanalytic Institute. It would be a digression here to elaborate on the conceptual and technical complexities of the process and outcome research that would be necessary to establish the comparative efficacy of intensive psychotherapy vis-a-vis briefer or drug-centered approaches to the array of disorders in the psychopathological spectrum, but suffice it to say that in terms of the criteria central to governmental and insurance carriers and concern for the relief and amelioration of presenting symptoms and disturbed or disturbing manifest behaviors, it is unlikely that intensive psychotherapy will be (or can be) established to be indubitably, superior. On the basis of many decades of experience, both Wallerstein and I are strong believers—nay, are convinced—that intensive psychodynamic psychotherapy, if practised by an expert clinician, is in most situations far superior to more superficial forms of psychotherapy and, indeed, is necessary to provide help to the emotionally ill. Moreover, it is inhuman to withhold such help. The tragedy is that we cannot convince the professions, the public or those who could provide the necessary support. If it were not for that single factor, the validity of competent intensive psychotherapeutic work would be obvious to most people, professionals and non-professionals alike. After all, no one clamors for outcome research when going to a dentist to have a cavity filled. We could then raze the artificial and pretentiously complex edifice of outcome research in which hypothesis is heaped on hypothesis and the whole artifact is irresponsibly described as a coherent scientific structure of indisputable facts. Let us now consider the topic from another angle. In all his writings Wallerstein asserts that psychoanalysis is a science. On the other hand, the late Robert J. Stoller, one of the most incisive and brightest critics of psychoanalysis, conclusively shows in his chapter in our companion volume, and in a number of pages of his writings, reprinted in Part III of that volume, that psychoanalysis cannot be considered a science as it fails many of its basic criteria. Both Stoller and I are convinced of the immense value of psychodynamic psychotherapy and its unique potential for the future. However, it is not the psychoanalysis or the psychodynamic therapy that is known now by most, even though some of the fundamentals are necessarily the same. That too is examined and discussed in depth in our companion volume. I have always maintained that we would be far better off limiting the use of the term ‘science’ to only the basic sciences, thus avoiding interminable and fruitless discussion. Many areas of inquiry do not lend themselves to the constraints of the scientific method and the use of some ‘scientific’ procedures and criteria does not in itself transform such areas into ‘sciences’. The eagerness of professionals to bestow the badge of science on their special areas of endeavor is unfortunate. It imposes inappropriate requirements that hamper and distort their work. At the same time, to belittle as ‘non-scientific’ any area in which science is not equipped to operate is also unconscionable. What we should really care about is that the methods employed are intelligent and are pertinent to and evolved from the specific field investigated. I would now like to raise a question to think about. If Wallerstein and Sampson’s paper was rewritten from the above point of view, how much of the original paper would remain and what additions would have to be made? Part of the answer is indicated by the authors when they state: ‘The data of analysis are manifest behaviors, as interpreted by (to be specified) canons, according to which such interpretations can be consistently and reliably made.’ Of course, such ‘canons’ would, if determined by them, be based on traditional psychoanalytic dogma. With those limitations in mind, plus those imposed by the attempted adherence to ‘scientific methodology’ suggested by the authors, one can safely state that our approach would entail a far greater number of variables but that many of the questions raised and the avenues considered would be far more cogent and realistic. Even then, however, the hoped-for goal of a satisfYing, honest solution, rather than a ‘scholarly’ pseudoanswer, would be nowhere in sight. However, it should be noted that the entire approach to outcome research will be drastically altered if we ever succeed in realizing a most essential change: the improved, far more effective and economical professional formation of the psychotherapist, as outlined in the next section. While the number of academic courses demanded of the psychotherapy student has increased considerably, overall clinical expertise is markedly in decline. The literature generally implies that mental health professionals are competent at what they are doing. The listing of academic degrees in professional directories is assumed to be proof of competency When we look at statistics on emotional disorders, it is assumed that all diagnostic assessments are correct. The references in the professional literature intimate that authorities are being cited. When Wallerstein, in his first paper in this volume, describes the desirable training conditions prevalent when he was a student himself, the implication is that those trainees eventually became competent psychotherapists. Unfortunately, that is not the case. In our companion volume we devote considerable space to examining the competency of various professionals engaged in psychotherapeutic work. It is interesting to note how the conclusions of those who have devoted extensive time and effort to the problem concur. Let us first consider John E. Gedo’s conclusions in his chapter in that volume. Gedo, who has an exceptional knowledge of the analytic training institutes, estimates that only IS per cent of candidates are adequate, even thought practically all of them will eventually be allowed to graduate. Stanley Lesse, the late co-editor of that volume and former president of the Association for the Advancement of Psychotherapy and editor-in-chief of the American Journal of Psychotherapy, was one of the foremost experts on psychotherapeutic training and practice. His estimate of the competency of current practitioners was pessimistic, and he agreed with Gedo’s figure. Also discussed in our companion volume are the inquiries into the matter made over several decades by the American Mental Health Foundation and the treatment center it sponsored. Those findings, based on concrete facts, are all disappointing. In the same vein, the lengthy expositions by Robert J. Stoller and by Ralph R. Greenson, also to be found in our companion volume, highlight the blatant professional shortcomings of psychoanalysts and psychotherapists. Let us return for a moment to the topic of outcome research. If only 15 to 20 per cent of professionals engaged in analysis or psychodynamic therapy are competent, ‘therapy’ as practised by the remainder should not be accepted as valid for the purposes of outcome research. The remaining 80 to 85 per cent of therapists are divisible into those whose presence is ‘beneficial’ and those whose presence is ‘non-beneficial’. And how about those who qualify for the top category? Their differences are greater and weightier than their similarities. How, then, can a knowledgeable researcher, for the purposes of outcome research, in all honesty lump the professionals in the three categories together and claim that they all engage in a single approach? If only the top 15 per cent of practitioners in any form of psychotherapy can be considered to have truly mastered that specific treatment modality, the remaining 85 per cent cannot be considered representative of such therapy. That might help explain the assertions of some outcome studies that all psychotherapies generate equal results. I have stated that I am convinced that psychodynamic psychotherapy has helped innumerable people. But that belief is based on my personal contact with patients and their families at the Foundation, its treatment center and elsewhere. That is a valid experience but I am not going to call it outcome research! To understand the causes for the deficiencies in our field we need to consider the problems related to the selection, training and competence of practitioners. In that area, Gedo’s, Lesse’s and my experiences converge. In our companion volume I speak of the invaluable information we were able to gather over many years from the many interviews conducted with former patients and people who had been active in the mental health field, quite a number of them in teaching and training. Gedo’s estimate that only about 15 per cent of the psychoanalytic candidates are adequate seems near the mark for psychotherapists as well. However, consider this: there are a great many training institutes that are not accredited by the American Psychoanalytic Association. For example, in the greater New York area alone there are some 60 to 70 training facilities for analysts and psychotherapists, all struggling to attract candidates for training. For most practitioners, finding patients for analysis and psychotherapy is not easy. By forming institutes they hope to secure a steadier source of revenue. Much of the income of the faculty members of these institutes is derived from the training, supervision and analysis of their candidates, most of whom have degrees in medicine, psychology or social work. Thus anyone who has such a degree has access to psychotherapy training and can end up with a certificate. Let us stay with the 15 per cent figure suggested by Gedo and consider the following: it is not likely that these adequate candidates will have the good fortune to have as their teachers, supervisors and training analysts precisely those 15 per cent of the faculty members who are competent and who would provide adequate training. Thus most of the talented students will not obtain satisfactory training. That creates major difficulties for them in their subsequent professional work and reduces their satisfaction; the more solid the know-how of a practitioner, the easier it is for him to tackle the problems of his patients.